For use with misting fountains, oil warmers and more. This high quality sandalwood fragrance oil is the perfect way to add scent to any room. It will allow you to deodorize the air and make your home smell good without using anything in a spray can, or turning to harsh chemicals. It can be added to any kind of fragrance diffuser, and can even be used directly on clothing or skin as a perfume. Because it is a concentrated oil, you will only need a small amount to benefit from the fragrance. Just a few drops is enough fill the room with a pleasant scent, without becoming too powerful or stinky. Always start with a small amount, and then add more as you need it because a little bit will go a long way. If using in a misting fountain, add the oil directly to the water, and start with just a few drops. Once you switch the unit on, it will efficiently diffuse the fragrance into the air as it produces mist. Since it works so well you will only need a small amount in every bowl of clean water. Be careful not to add too much, because overuse will cause residues to build over time, and that will reduce the life of your mister. If you use a proper amount, it will work great, and have no harmful effects on the mister. Sandalwood is widely used in perfumes because it has a fresh woodsy scent. When added to the air in your home, it can have a cool, soothing effect. It will also mask yucky smells to replace them with a bright and natural fragrance. While it does promote calm feelings, it is able to do so while leaving you with an alert and clear mind. The pure essential oil has been used medicinally for years due it's antimicrobial properties and ability to clean and clear skin. This is not the pure essential oil, so it should never be used in the same way, but when diffused into the air in your home, it can have similar cleansing attributes. This fragrance oil will make your home smell great, and may help to clean the air of germs at the same time. If used in a misting fountain, this ability will be amplified because the mister will be generating negative ions that also purify the air at the same time. Simply add a few drops right into the water, and let the mister do the rest. It will begin to mix the fragrance into the fog it generates, and soon the smell will fill the whole room. This product is also good for any type of oil warmer or other fragrance diffuser, and it can be used right on clothing, skin or other surfaces, but is not meant to be ingested. Add a pleasing scent to the air in your home without the use of aerosol sprays or harsh chemicals. This sandalwood fragrance oil will help you deodorize your home with a safer, more natural method. Order Yours Today. 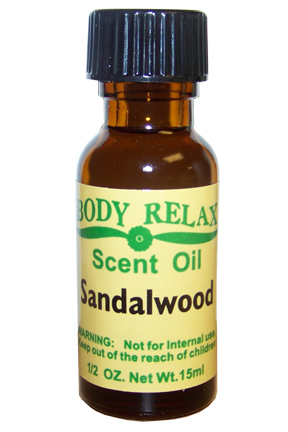 Sandalwood Fragrance Oil - Add aroma to your home the safe and natural way. Use this quality fragrance oil to add a pleasing scent to the air in your home. Order Yours Today! Use this in a defuser. Stronger then most. A Shatter-Proof Vase That Sticks To Walls, Windows & Mirrors. Brighten underwater locations. Long, narrow bulb with multiple color options.